Modeling tools set. 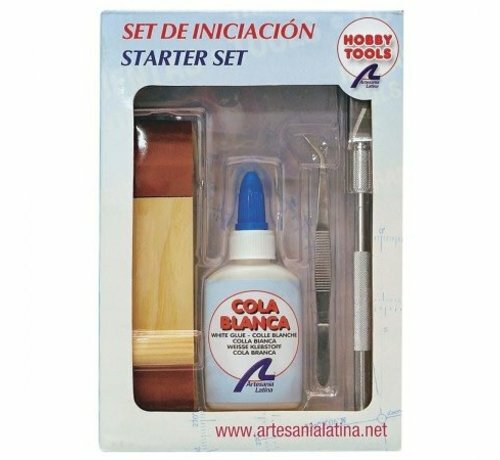 The third kit of basic modeling tools brings tools to build your ships, planes and trains models easily: includes cutter, curved tweezers to work with the smallest parts, sander dowel and white glue.It includes some of the tools that every modeler should have in the initiation phase. 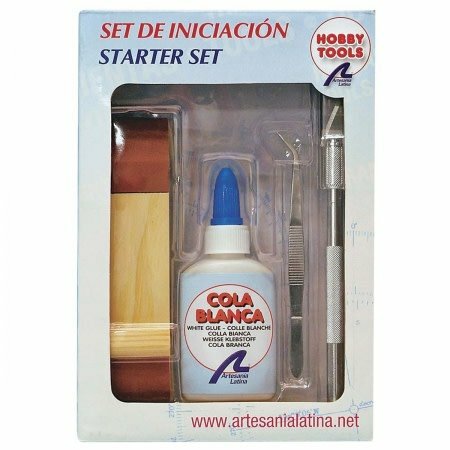 Set of basic tools for modeling necessary for the assembly of any ship model in scale. 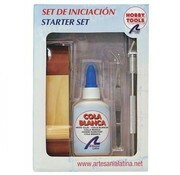 Buying modeling tools will greatly facilitate the construction of wooden models. This kit of basic tools for modeling has the necessary tools to assemble any scale model. The toolbox is also perfect for any craft or hobby. Modeling Cutter Essential tool with as many uses as you can imagine. Curved Tweezers For the most comfortable work with small parts. Sander Dowel Support for the sandpaper for a more comfortable job.